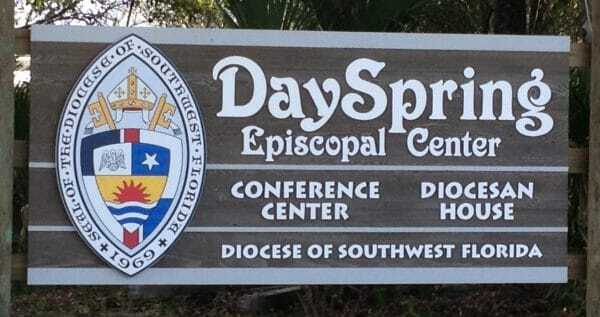 DaySpring Episcopal Center serves the heart of the community of Southwest Florida. With a long history hosting non-profit organizations since 1979, DaySpring is a hidden treasure to many. Now the Diocese of Southwest Florida turns to a ten-year master plan and a bold vision for transforming lives in many ways for generations to come. Our history sets the stage. Our programs define our vibrant community. Our legacy plans for the generations to come. We welcome you to browse our 2019 Catalog to see how you might experience DaySpring in the coming year. Click below for a glimpse of how light shines at DaySpring through the programming of our guests. 2018 DaySpring Your Light Video from Episcopal Florida on Vimeo.